What are your Goals for your Website this year? If you haven’t made a list already, Peak District SEO have written up a few that you should certainly consider. 1) Get A Website Audit. If your website isn’t performing as you’d hoped it would, then something is clearly wrong. Whether that be the website or your expectations of it. You’ll never know until you check, so get your website audited as soon as possible. There are a range of audits on the market, from simple website reviews to full-blown technical audits. Free audits provide a summary of what’s wrong with your site. They tend to outline errors with your technical SEO and focus on basics such as page speed, mobile friendliness and security. Paid audits vary dramatically in pricing and focus. They can look at everything or just one specific part of your marketing. Be sure you are clear about what sort of information you’ll be getting when you commission a pad audit. The end result should be a clear set of instructions of what issues your site faces and steps that should be taken to fix the issues. It should include technical, on-page, organic, links, paid and social media summaries. Peak District SEO offer both free and paid audits. Click here to book a Free Website Audit. Speaking to an SEO company, or even two or three will give you a good idea about how long work on the site will take and what improvements you can expect to gain. There may be some quick wins but real growth takes time so prepare to manage your expectations. Of course, your SEO company can be anywhere in the UK, or indeed the world, but I’d advise choosing a company who are prepared to come and meet you. A company who is in 40-50 mile radius is likely to be more able to come and visit you than a company at the other end of the country. Of course, meetings can be done via Skype, but there’s nothing like meeting the people you’re going to be working with. Even though I’m a massive advocate of digital technology, there’s a lot to be said for face to face interaction. Even if you don’t book SEO just yet, at least you have an idea of what it will cost you, and who you’d like to use. It’s easy to hang on to old techniques, but ask yourselves, how much benefit it’s actually bringing you? How is it improving your online presence? How many people saw the ad? How many people called or visited your website after seeing the ad? This is all information that you cannot possibly know. You can guess, but how accurate is guessing? By focusing more on online marketing in 2019, you can cut costs, and improve accuracy. By tracking how many visitors you gained and where they come from you can improve your marketing strategy. It might be that the majority of customers come from a certain geographical region, or are a certain age group, it might be that they have similar interests. All this information is ready and waiting for you when you use Google Analytics and other website tracking tools. Try Google Ads, Bing Ads or Facebook Ads. When done up properly, they will save you thousands of pounds per year and deliver a more measurable return on investment. Getting your Social media profiles sorted out can be a bit of a nightmare, particularly if you’ve never used Social media or if you’ve previously had someone else managing it for you. A) Reserve your profiles. Take 30 minutes to secure your brand profiles on all the major social platforms. Why? Because you never know when you might need them. Secondly, it prevents companies with similar names taking the names that would suit your business. One thing I see a lot of is duplicated social media accounts. It happens when multiple people have been managing accounts, and the previous manager didn’t leave a note of the username and password. This is bad! It’s effectively splitting your audience. Just have one page per brand. If you run multiple businesses, you need one page per business. Do a search for your brand name on Facebook, Twitter etc. If you find a duplicate page for your business, look at the one with the most following and engagement. Claim it and make that your page. Shut down the others ASAP. If you don’t have access to the duplicate accounts, talk to Facebook support or Twitter support about gaining access or getting them removed. It’s worth the hassle to unify your brand. 5 ) Review Your Website Hosting. Go and speak to your web host. Can access your files? If you can’t ask why not. You should always be able to access your files either via FTP or a web-based control panel. If you can’t access your files, how can you or your web developer or SEO edit the files? Avoid the hidden cost of getting bills from your host every time you a small change making. Often shared hosting is insecure, hosts who deny access to your website files are probably hosting multiple websites on the same server, which is a security risk for your site. Don’t accept it! Consider switching hosts if you can’t get what you want. 6) Create Fresh Content, Regularly. Creating engaging and fresh content is tough. You have to do it if you want to stay competitive. Google loves fresh content, your users and customers will love your fresh content too, especially if it helps them. Make a content calendar, to plan out the content you’ll deliver over the year. If you can write 2 articles per month, that’s 24 new pages on your website, each year and that will help to raise your visibility on Google and Bing. Talk to an expert to get help with this. Advice is free. You might be thinking, what are your goals, Phil? Well, my goals in 2019 are to improve client reports and hire some staff. 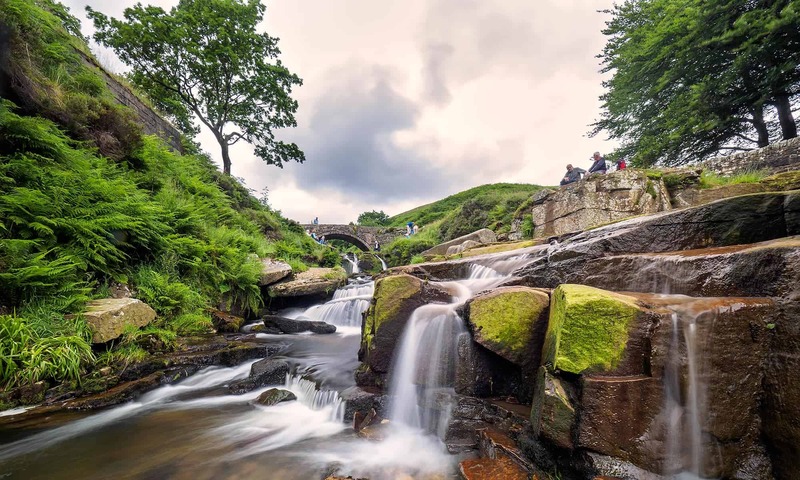 Each month Peak District SEO serves over 20 customers with SEO services. Getting business websites more visibility is what we do, but I want to focus on building a reporting system that demonstrates our progress in a way that non-tech CEOS and managers can understand. Overly complex reports than nobody reals or understands are a wasted resource. Simplicity is key. The business grew rapidly in 2018, faster than expected actually. So this year I’m looking for some staff. I need to spend my time focusing on serving customers and growing the business. If you know an experienced, SEO seeking freelance work, let me know. Phil Gregory is the founder of Peak District SEO a Digital Marketing company serving small to medium-sized businesses in the UK. Next PostNext When Will SEO Spammers Get It?